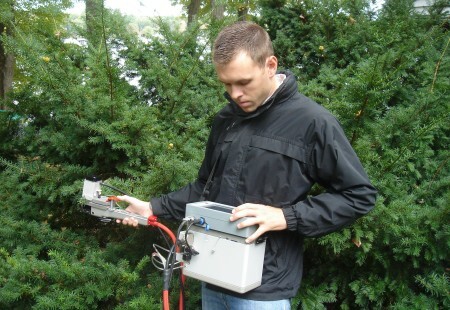 ADC BioScientific is the most experienced manufacturer of infrared gas analysers for measuring photosynthesis, having designed gas exchange instrumentation since 1969. 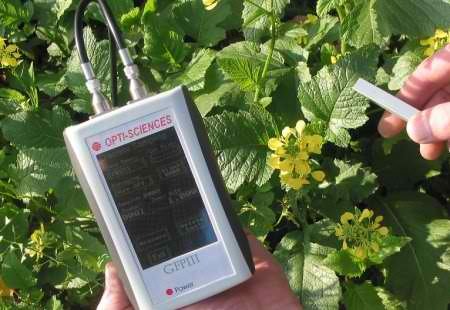 Today, ADC manufactures an unparalleled range of portable photosynthesis and transpiration measurement systems. The LCpro-SD Portable Photosynthesis System was the first truly portable and affordable gas exchange system with full environmental control. Weighing just 4.5kg, the LCpro-SD is ideal for field research, and is essential for work in remote or harsh sites where the instrument must be carried for a few hours. These advantages made the LCpro-SD the system of choice for hundreds of researchers worldwide – just see the sample of research papers in our reference archive webpage. Whether your research is laboratory based, field based, long term or short term, ADC can offer you superior CO2 flux measurements whatever your application. Currently, concentrations of atmospheric carbon dioxide are rapidly rising. The balance of CO2 that remains in the atmosphere depends on the rate at which excess atmospheric carbon is assimilated into terrestrial sinks. The World Development Report, 2010, estimates that globally, soils contain 1,500 gigatons of the terrestrial carbon pool – 3 times the amount in above-ground biomass (570 gigatons) and twice the amount in atmospheres (750 gigatons). Hence, even relatively small fluxes in soil storage per unit area could have a significant impact on atmospheric carbon concentrations. Organic carbon stored in soils is continually released by the process of soil respiration. However, the rate of this release is strongly affected by soil composition and conditions. In addition, some soil management practices can cause significant loss of carbon from soil, such as cultivation and prescribed fires, while practices such as crop fertilization, reduced tillage, and irrigation can reduce carbon loss. This has led to increased research interest in the response of soils to elevated CO2 and the potential of terrestrial stores to counter emissions from human industry. 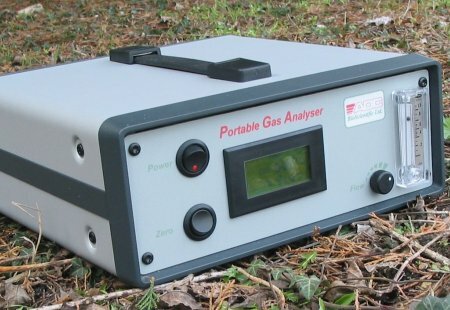 ADC’s range of gas monitors are invaluable tools for a variety of research applications, from portable multi-gas detectors for immediate gas sensing, to long-term unattended carbon dioxide monitors. The rapidly rising level of atmospheric carbon dioxide is an issue of global, economic and political importance. The facts about global warming are often debated, but the increasing CO2 levels are real and measurable. To measure atmospheric CO2, ADC has designed the Lambda T CO2 monitor which employs a novel twin wavelength infrared gas analyser. This new technology provides highly stable analysis, enabling the Lambda T to be used for unattended measurement and control of CO2 . The Lambda T has facilitated work into a diversity of carbon dioxide research. A growing research topic that is part of an overall carbon management strategy is carbon sequestration into biotic systems.